Have you heard of the Novogratz??!! Plus, they have a couple new projects and products out at popular stores like Macy's and Walmart and I am LOVIN' their designs, style and products! They just launched a bedding and bath collection with Walmart.com and they updated their line of table-top products with Macy’s this fall! Novogratz is bringing their high-design and sense of fun, color and whimsy to the masses by partnering with retailers that are tried and true. They are making their brand of modern luxury attainable and proving that great taste and affordability can go hand-in-hand. I absolutely LOVE the couple of items I received from their new Walmart line. They will be perfect in our new bathroom at our new house! The Rise & Shine 3-Piece Bath Set in blue/green color is so fun and perfect for any bathroom! The towels are super soft and plush and I love the colors! I love the design of the Kaleidoscope 3-Piece Accessory Set. It really adds dimension and style to any bathroom decor! And from their new Macy's products, I received these two really great mugs! I am IN LOVE with these mugs and they will be perfect to display and use in my new coffee bar. I love the inspiration it gives me every morning as I drink my coffee, apple cider or tea out of them! 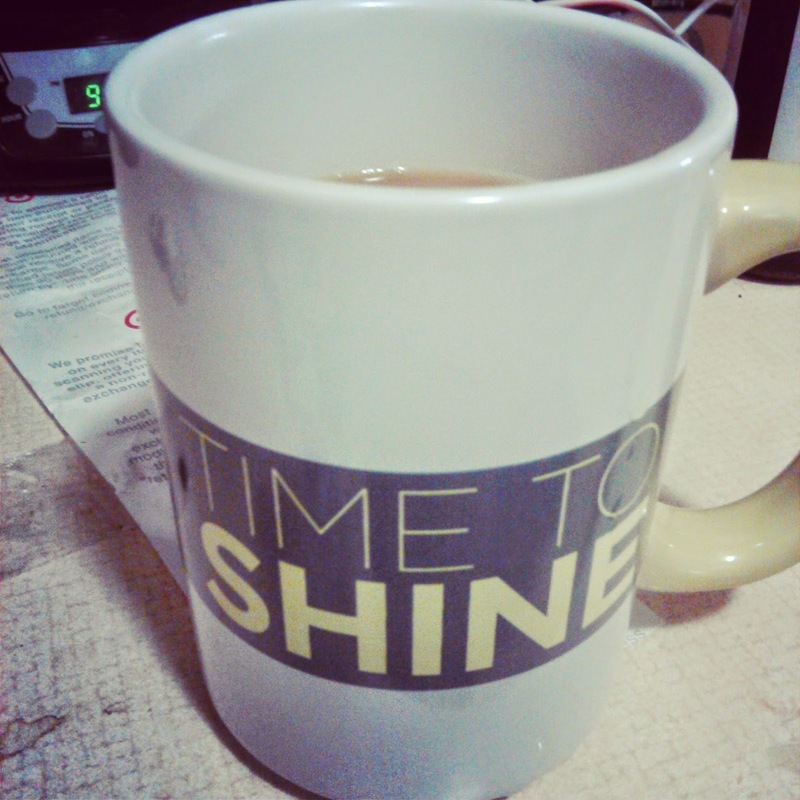 I love the colors and simple style of the Time To Shine Mug and Hello Sunshine Mug and they seem to extra tall which is awesome! You can purchase all these new Novogratz products at your local Macy's and Walmart.